Want another reason to buy a Subaru Forester or Crosstrek? Say hello to hybrid power. This past March, Subaru was represented at the Geneva Motor Show to reveal their latest innovations in engine technologies. The newest addition to the 2019 engine line-up is a 2.0-litre naturally aspirated flat-four Boxer engine. This engine is now mated to a 16.5 horsepower electric motor, which is incorporated into the CVT. This addition will help boost vehicle performance and improve fuel economy, making it a top of line addition to your Subaru vehicle. This addition to the e-Boxer engine will significantly improve the range in power of your Subaru. The powertrain produces a combined output of 147 horsepower and 143 lbs-ft of torque, ideal for all four wheels. When out for a drive, the engine and electric motor work together, resulting in a smooth, yet powerful ride. For highway driving, fuel efficiency is tested to its full capability as the engine charges the battery while the car is still in motion. When the battery is fully charged, the electric motor has the ability to power the vehicle for short distances. The only small disadvantage is a slight compromise in cargo space, as battery sits in the trunk. Combing the genius of new engine technologies has resulted in a state-of-the-art engine that optimizes fuel efficiency. There has never been a greater emphasis on saving energy than there is today, that is why Subaru is taking part in this fuel efficiency initiative. Although there is no confirmed date on when this fuel-efficient e-Boxer engine is coming to Canada, this innovation to Subaru engines will set Subaru apart from the competition. The e-Boxer powertrain will be a perfect addition to the latest version of the Subaru Forester and Crosstrek, which are already extremely powerful, smooth and fuel-efficient vehicles. For more details on this exciting addition, visit us at Subaru Niagara and our team of professionals will be happy to chat about the latest in innovative Subaru technologies. 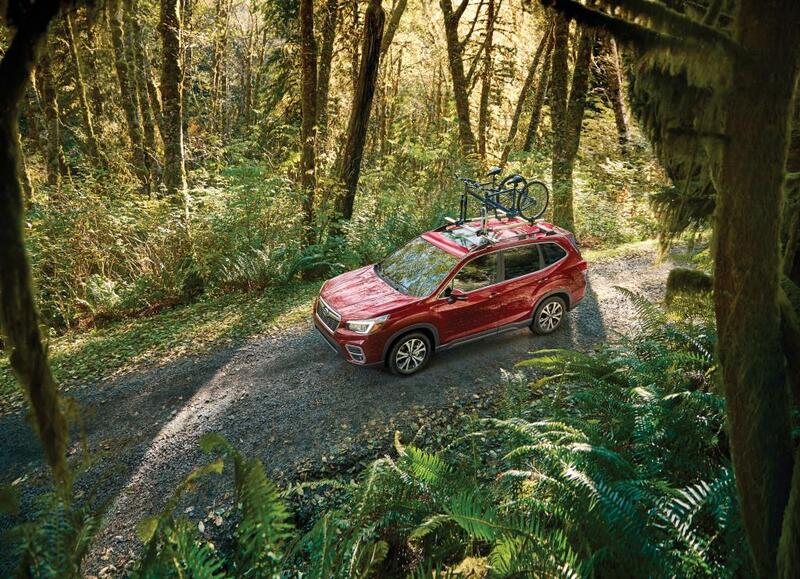 The 2019 addition of the Subaru Forester and Crosstrek are also available at our 375 Lake Street location, book a test drive today!